It seems like everyone is addicted to Downton Abbey, Mr. Selfridge, Call the Midwife, or a combination of the three. With two of the three series ending this year, it’s hard times for anglophile TV fans. Don’t fret. 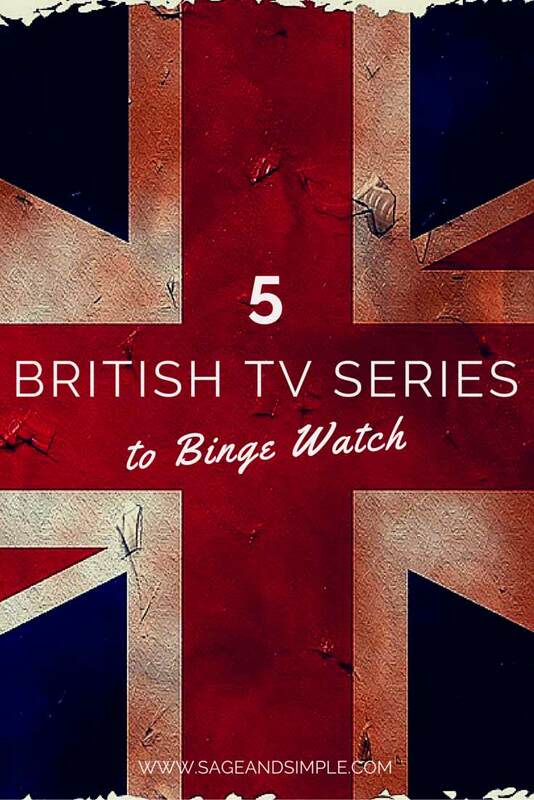 Being married to an Englishman gives me the inside scoop on British TV, so to help you through the lean TV times that are coming, I offer you five lesser known British TV series to binge watch, plus a bonus of two Australian period dramas! 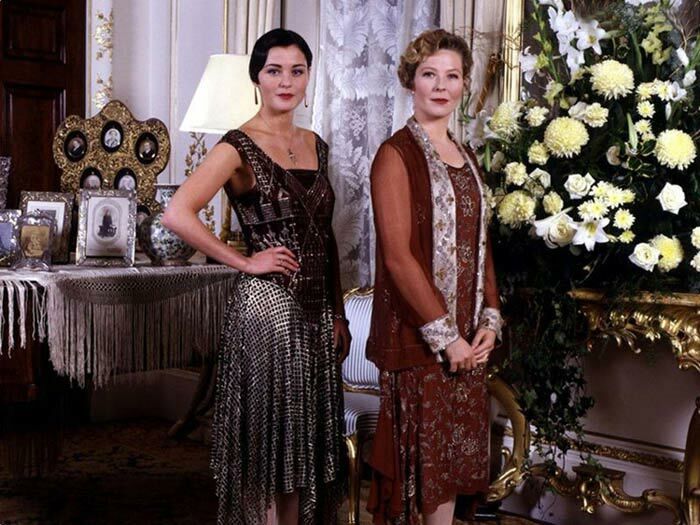 While I couldn’t help but think The Paradise was just a cheap knock-off of Mr. Selfridge, I thoroughly enjoyed this show, mainly because of its beautiful costumes and whimsical sets. 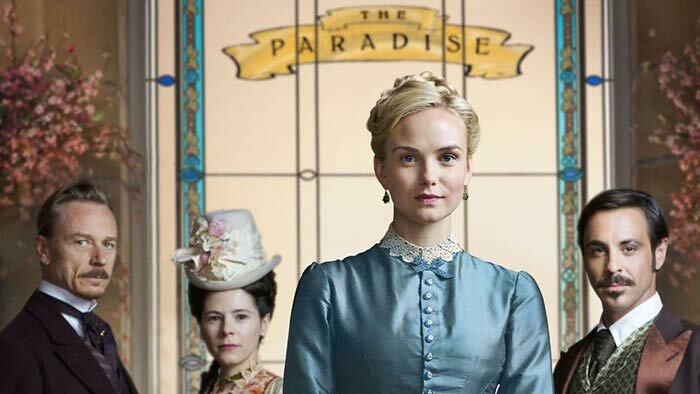 The Paradise, which is set in England’s first department store during 1870s, is based on Émile Zola’s novel Au bonheur des dames, and lasted only two seasons, from 2012 – 2013, before Mr. Selfridge killed it in the ratings. This show is a drama and love story (sometimes triangle), centered on the people who work and shop at The Paradise, with an emphasis on the Victorian upper class. Once Mr. Selfridge wraps in your market, The Paradise might be right up your British TV series to binge watch alley. 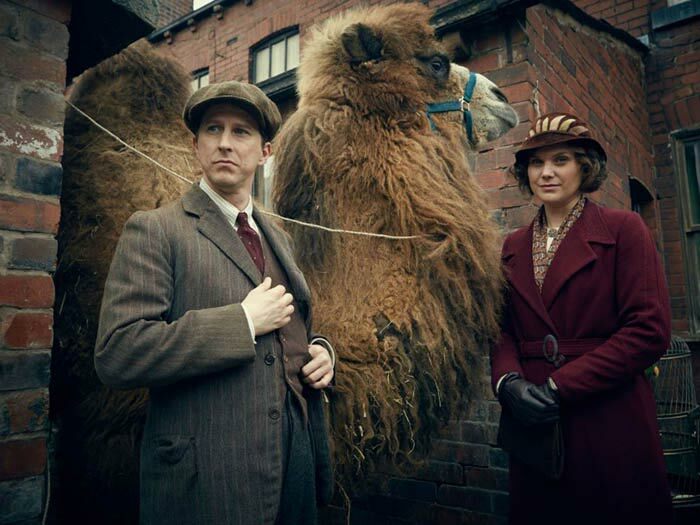 Our Zoo is a BBC One period drama mini-series about the founding of Chester Zoo, which was sadly only ever planned to be six episodes. Our Zoo is based on the true story of George Mottershead, a WWI veteran suffering from PTSD who becomes obsessed with saving animals, and convinces his family to sell everything, buy a crumbling estate, and turn it into a cage-free zoo. This 1930s era series is a must see for period drama fans, and animal lovers who are looking for a British TV show to binge watch! Now for something completely different! Trollied, also British slang for drunk, is a sitcom from Sky 1 set in Valco, a discount supermarket in northwest England. This show features a hilarious array of characters in all departments, and at all levels from cashier to owner, and each episode takes place during one supermarket workday. Every time Robert and I go grocery shopping in England, I always say, “OMG! It’s just like being in Valco.” It really is. An embarrassingly realistic British TV series to binge watch, there are currently five binge-worthy seasons of Trollied, and it looks like it will be back for a sixth season in 2016! Love Child, an Australian drama series from Nine Network, begins in 1969 and it centers on the young women who live in Stanton House, a home for unwed mothers in Sydney. Sometimes difficult to watch, Love Child shows the corruption that was part and parcel of Australia’s forced adoption industry, the damage it caused to so many women, and how those women and their allies fought the system and won. Two seasons have already aired, and a third one is coming, though I’m not surprised. This show wins on all levels, and the period costumes rock! After twenty years in Europe, Sarah Adams, a concentration camp survivor and nurse believes her husband dead, and returns to 1950s Australia to reconcile with her mother. On the journey from Europe, Sarah becomes involved with a very wealthy and powerful family, some of whom draw her in, and some of whom cast her out. 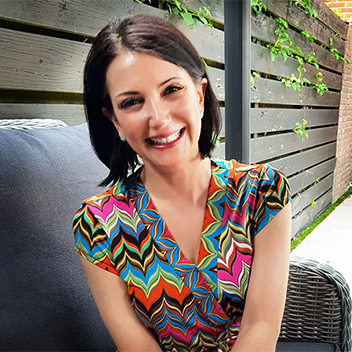 This drama series focuses on this family, Sarah’s strained relationship with them, her life as she struggles to reestablish herself in Australia, and the social change that’s starting to take hold in New South Wales and beyond. 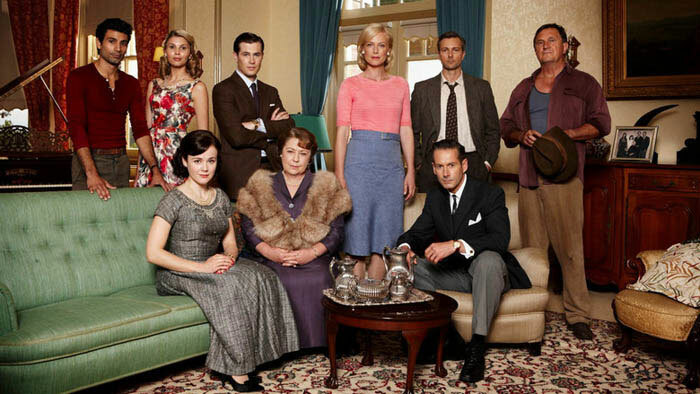 Seven Network has alread aired three seasons of A Place to Call Home, and a fourth is on the way. I’m looking forward to lots more tense drama when this one airs again! Confession: A total guilty pleasure of mine is British Reality TV LOL! I can’t believe I just admitted that. I think I’d enjoy those beautiful costumes on ‘The Paradise’, too. Definitely going to check it out – thanks for this list! You’re welcome :) I’ve actually never watched British Reality TV. Am I missing out? These look interesting and now I just need to figure out how to watch them. I love the amazing costumes from shows that are from a past time period. Thanks for sharing these great shows. I love British TV and hate that Downton has now ended. I’m interested in several of these shows now, especially Jericho since I’m a big fan of Call the Midwife. Of course, my favorite British TV show is still Doctor Who, lol. Can you believe I’ve never seen an episode of Doctor Who? I have not watched a good British TV series in a very long time! I have heard about Trollied from my friend who does not watch American TV anymore. I’m so tempted to check this out.. thanks for sharing. I have a love/hate relationship with binge watching. Love that they’re so good that I can’t stop watching. Hate that I’m up until 4am watching and that I’m a zombie the next day. I guess I’m going to be a zombie after checking these out. My pleasure :) I hope you find something you love in there, it’s always fun to find a new show to dive into! I loved House of Elliot and your other choices, which I have not heard of, sound very good. I am now wondering how I can get hold of them. Current favourites include Dr Thorne, Indian Summers an I loved Dickensian. Hubby is enjoying The Night Manager. I’m watching Dr. Thorne now :) I haven’t seen the other three you mentioned, but I will check them out, thanks for mentioning them. I’ve only seen the first episode, I plan on getting caught up over the long weekend. House Of Elliot, wow that is retro. I remember that well as it was filmed in my home city of Bristol!!! I’m just about to get into Happy Valley as it’s all I’ve heard about over the last few months! How cool! I hadn’t heard of Happy Valley, I’ll be checking it out. I remember House of Elliot be on on a Sunday evening when I was much younger. You’ve made some great choices. I could never get into Mr Selfridge, I much preferred the Paradise. We’re currently catching up on Jericho and enjoying it very much. I think Mr. Selfridge peaked in the first two seasons. I’m actually not all that sorry to see it go, but I hope a new period drama comes to take its place. I much preferred The Paradise to Mr. Selfridge. It always seemed to me that Jeremy Pivens was really rather over the top, and really hammed it up. The House of Elliott was a favourite of mine, back in the day. I shall definitely give several of these a go. Another bingeworthy British series is “Lark Rise to Candleford.” It’s magical. I would love to watch Love Child. It sounds like a good show. I haven’t heard of most of these but they sound really good. I especially love the sound of Trollied. It sounds like it could be hilarious. That Troilled looks very interesting. I would like to watch Our Zoo. Sounds really interesting. Love child on the other hand I would stay away from. That’s the kind of show that gets me rattled up and ready to make picket signs. Great list! Me, too :) But I just love the 60s era costumes in Love Child! I am crazy about The Paradise. Haven’t seen any of the other ones. Another one I haven’t seen… I’ll have to check it out. oh nice, ill add them to my binge list, now i just wish i had the time to watch them all =)…. Will check them out! Glad you shared this, thank you! The Brits make great TV :) I can’t believe I was missing out for so many years! I have actually never watched any British shows before, but now I am off to see if my Netflix has them. Thanks for sharing! I love British TV shows, and it’s one of the things I look forward to on Saturday evening. The Britcoms on GPTV. I’m going to check all of these out because I already know I’ll love watching them. I hadn’t heard of any of these, but you can bet I’ll be looking them up. I love trying series from other countries! I did my study abroad at Oxford and while I was there I totally got hooked on British TV! I was so sad not to see what happened to all of them. It is so hard to get Brit TV over here. I love the Paradise. Great shows you have picked here! Great choice of British tv shows you’ve picked to share here! Thanks, Emily! I’m happy to hear you say that, TV can be so subjective. I’m embarrassed to say that despite living in the UK I have never watched Downtown Abbey! Lol! Thanks for sharing these. I love shows like this and now I have some new ones to watch. oooh…this is great! i’ve pinned it. Thanks so much. I’d only watched the Paradise so far. Oooooh! I am totally going to find Trollied! Here are my top 5 to binge watch: 1) Fawlty Towers, 2) IT Crowd, 3) Father Ted, 4) Miranda, and 5) tie between Are You Being Served and Grace and Favour. Can you tell I’m an Anglophile? I LOVE British and Australian comedies! 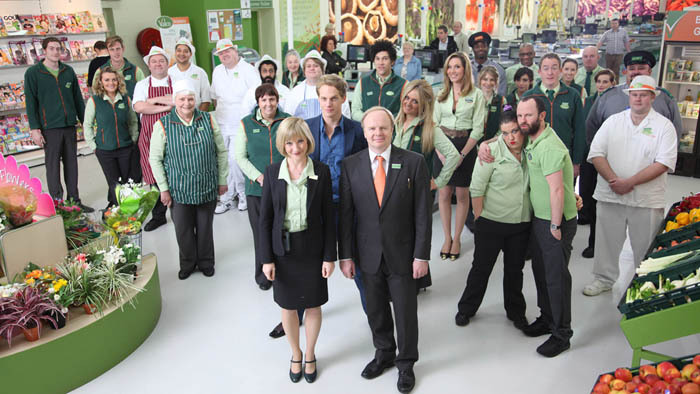 I’m definitely going to have to check out Trollied, it looks right up my alley! Great list, I remember The House of Eliott from when I was young! We loved watching “Our Zoo” . It is really too bad that they have cancelled the show. Please tell me when these shows will be airing. Love all the shows that are on now, I watch even the reruns. Can’t wait. Please tell me they will be on soon. I LOVED the 1st series of A PLACE TO CALL HOME. The Aussie period drama …. watched 13 episodes over this weekend.on DAVE. Where/ when can I see the second series ? Acorn carries the entire series. Just finished the final season this year. Real quality. In my opinion, almost the only good TV is what I see on PBS-Poldark, Call the Midwife, Ballykissangel, From Larkrise to Candleford, The Forsyte Saga, Doc Martin and now, Victoria. Regular American network TV is horrendous. If they ever stop importing those wonderful British TV dramas, I will no longer have a reason to live!! Loved everyone of above-mentioned shows. Real quality! I can’t believe you left out Poldark! It’s an amazing show! And Victoria! Another really great show. While “Poldark” and “Victoria” are great shows, the point of this post was to highlight lesser known series, and I don’t consider either show to fit that criteria.